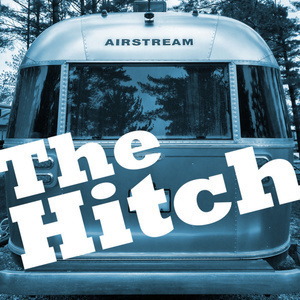 Join Dan and Janice as they talk travel, dream big, and plot their next adventure in their 27' Airstream trailer, Evangeline. Back from 60 days on the road this summer with their 13-year-old, 3-year-old, and dog, they are ready to answer your questions, plan the next trip, and navigate through life's challenges. Traveling doesn't end when the trip does. It's a never-ending quest for freedom and fun. Listen weekly and come along for the ride! Traveling with your family in a 27’ trailer can be wonderful, other times it can be tonight. After an easy drive day, the crew settles down in Buffalo, Wyoming a small town with not a lot more beyond Dan’s favorite gas station chain. It all seemed like it was going to be an uneventful day. And then the three-year-old just flat-out refused to go to sleep. Three hours later and Janice and Dan are exhausted. Oh also: The 13-year-old gets a mysterious cut on his head and keeps rummaging around the trailer trying to find a band-aid, because of course. Let’s say it again: parenting is hard.